From the smallest of shops to the grandest of business buildings, Airria Climate Systems is there to handle all of your commercial heating and AC needs. In the Las Vegas area, temperatures can reach sweltering levels in the summer and below freezing in the winter. Your heating and air conditioning systems are vital for keeping both your customers and employees comfortable and are an integral part of a productive business. Give us a call and see what we can do for you! We have a clear mission to provide the best service and value for Las Vegas and Henderson, NV. We offer quick and easy installation as well as regular maintenance to prevent break downs. And when emergencies happen, our techs can offer efficient repairs to get your office or store cooled again in no time. There is a wide range of brands, types, and sizes of HVAC systems available for your business. It can be difficult to install or repair a certain style if your only experience is with just one particular brand. That’s why our HVAC techs are extensively trained in a wide variety of systems to ensure that they can handle any need that our clients may have. 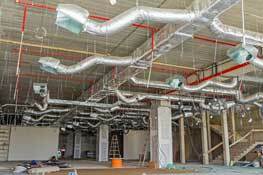 Las Vegas and Henderson have plenty of choices for commercial HVAC contractors. The levels of quality and integrity vary widely. Licensed, bonded and insured with a reputation for excellence, we would love the opportunity to earn your business. We can be there fast and get the job done right. Your business deserves only the best and that’s what Airria Climate Systems provides. Our customers can tell you how much our work means to us. And that means we strive to provide effective services at affordable costs. Often times, we can repair systems at a fraction of what our competitors will charge because our goal isn’t to push the bill as high as it will go, our goal is to earn your trust so that we’ve gained a valued client. It doesn’t get better than that! Just because you are in Vegas doesn’t mean you have to gamble with your Commercial HVAC system. Trust a company rated with an A+ BBB rating and dozens of 5-star reviews on Angie’s List. Call now and you will never need another Commercial HVAC company in Las Vegas or Henderson, NV. Your HVAC system has to work hard to keep your office or business cool and regulated during the hot afternoons. Not to mention, HVAC systems can also assist in maintaining any number of other air factors including humidity and dust levels. Your HVAC system is critical in the heat of our harsh Las Vegas climate. Is it worth the gamble to have just anybody to take care of it? Airria Climate Systems has been working in the industry for decades and have happy customers and a collection of industry awards to show for it. We are customer oriented and want to be sure that your business heating and cooling needs are being met to boost your own productivity and success! We understand Las Vegas and Henderson is a big area. But we pride ourselves in fully servicing this region, whenever and wherever we’re needed. 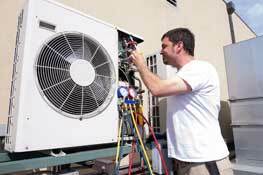 We offer the best commercial heating and air conditioning repair service Las Vegas and Henderson has seen. So if you’re in our service area, you’re fully covered by our extensive and affordable services, no matter how big or small your project may be. 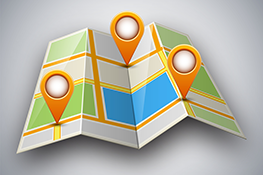 Your business’ location shouldn’t affect your ability to receive efficient and timely service, so we take care of all of our Las Vegas and Henderson business owners. If repairs are what you’re looking for, there’s no need to call any other contractors. Our extensively trained and friendly staff is able to identify the root causes of all your HVAC problems and fix them quickly and efficiently. We have decades of experience with HVAC repair and we put that to use while we get your system back up and running in no time. We hope to minimize the pain of a system failure by responding quickly and doing things the right way the first time. Many times we can do these things at a fraction of the cost of our competitors. We also offer full commercial HVAC maintenance to head off problems before they start and keep your system running smoothly. From commercial HVAC installation to maintenance and repairs, Airria Climate Systems has earned the public’s vote as one of the best HVAC contractors in Las Vegas and Henderson. Our award winning service is well known for its efficient technicians and affordable contracts. Don’t gamble your system away with other companies when we guarantee amazing service every time. If you’re ready to join the Airria family, then we’re glad to have you. Being a business owner involves plenty of tough decisions. By choosing us, you’ve made a great choice. Give us a call today to learn more about our commercial heating and repair services. See for yourself why there’s no one better than Airria Climate Systems. 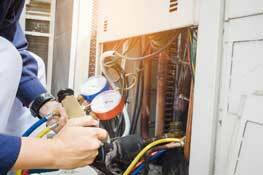 Having issues with your Business HVAC system? We can help. Call now for great service at an affordable cost.